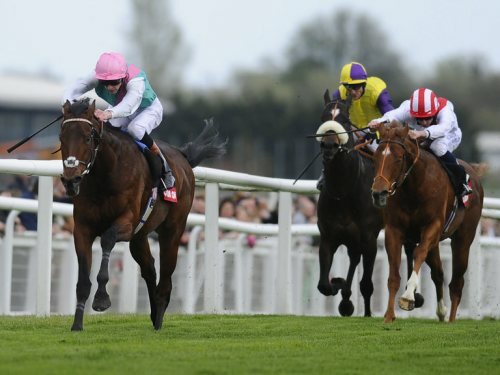 Kingman was beaten into second place in the Newmarket 2000 Guineas by 40-1 outsider Night Of Thunder and bids to go one better in the Irish equivalent on Saturday. Kingman was suffering his first defeat in the Guineas when he was edged out by the swerving Night Of Thunder, a colt that he had beaten comprehensively at Newbury on his previous start. That was in the Greenham Stakes over seven furlongs when Kingman looked every inch a classic winner as he stormed through to win decisively. His Newmarket defeat may have been due to the field splitting into two groups. He won his race on the far side but the winner finished up in the centre of the track alongside the third horse, Australia. That horse is now odds-on favourite for the Epsom Derby next month. Trainer John Gosden had enjoyed a terrific start to the season and was philosophical in defeat. He rates Kingman the best miler he has trained and that makes him a special colt. James Doyle gets another chance to ride his first classic winner in his retained colours of Khaled Abdullah and it will be disappointing if he is beaten on Saturday. He is priced at 8-11 with Bet365. Dermot Weld’s Mustajeb has burst on to the classic scene after an impressive win in a Group 3 at Leopardstown. The son of Nayef had good form as a two-year-old but appears to have improved markedly judged by his easy win over Brendan Brackan over a mile. Richard Hannon’s Shifting Gold was made to fight all the way to the line to win the European Free Handicap and followed up with a fine fourth in the 2000 Guineas. 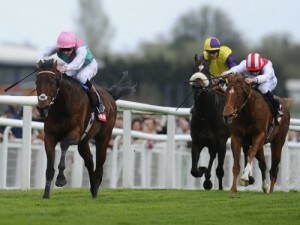 He does not seem to have the acceleration of Kingman but will be tough to beat if he gets into a battle. War Command was only ninth in the Guineas and that was disappointing for a winner of the Dewhurst last season. He had earlier looked a high-class colt when storming to victory in the Coventry Stakes at Royal Ascot and could bounce back to form. Stable companion Johann Strauss was well beaten at Newmarket behind Sudden Wonder but won easily at Dundalk. Aidan O’Brien also runs Great White Eagle and Michaelmas, although both need to improve considerably to test the leading contenders. Perhaps the pick of the outsiders is Big Time who was placed in Group 1 company as a two-year-old. The race is due off at 3.20 on Saturday at the Curragh.